Can function and has the ability of both headmaster and pretender. 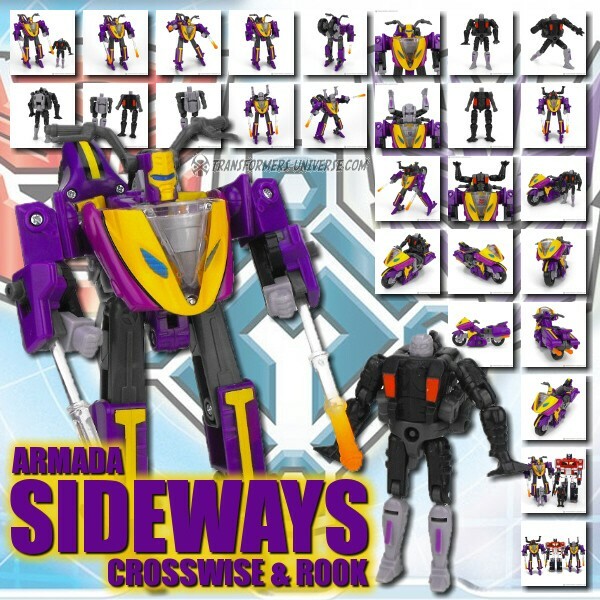 Has the ability to make correspondence in his different transformer modes regardless of the situation. From within his chest energy is gathered within two ducts enabling him to fire his takion beam at the same time as proton master rifle which dissintegrates his enemy. Remarks: The three biggest Transformers of all time, which I like to refer to as the Trinita Maximus, are Fortress Maximus (the original use of the mold from 1987), Brave Maximus (the RID figure from 2000), and finally the rarest of the three, Grand Maximus from the 1988 Japanese-Exclusive Super-God Masterforce Series. Once I've collected all (or at least most) of these missing parts, you will get a full picture gallery and review for Grand Maximus, so wish me luck in my hunt.